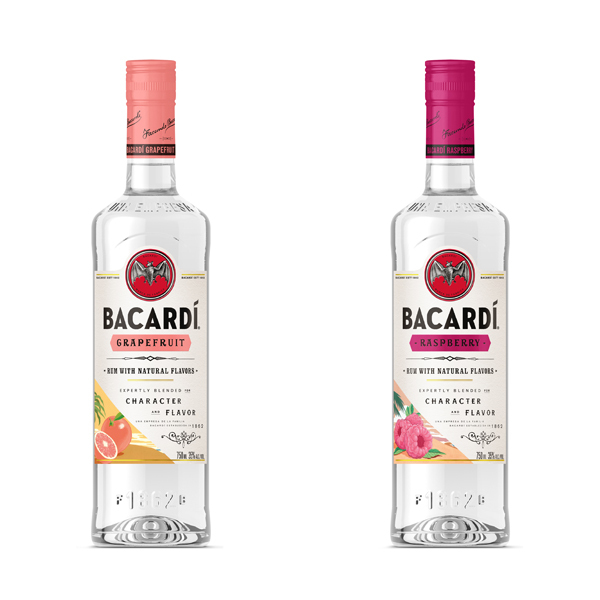 Bermuda-headquartered Bacardi unveils its plans to heat up the season with the debut of two new flavours – Bacardí Grapefruit and Bacardí Raspberry flavored rums. “Bacardí Grapefruit is a white rum infused with pink grapefruit flavors to create a sour and semi-sweet fresh taste, while Bacardí Raspberry is infused with citrus raspberry flavors to create a mouth-watering taste mixture of sweet and tart. Both new flavors are now available in 750ML size,” the company said. “Bacardí Grapefruit and Bacardí Raspberry are easily mixable in any type of cocktail, and traditional flavors like citrus and berry continue to grow in popularity. “According to the Nielsen Pert White Spirits A&U study from March 2014, traditional flavors now represent 85% of flavored spirit volume [versus non-traditional fruit flavors], and two-thirds of flavored spirits volume is coming from millennial consumers. “The new flavors, Bacardí Grapefruit and Bacardí Raspberry, will cool down all your warm weather occasions, especially in fun summer cocktails like punch,” said Juan Coronado, National Brand Ambassador, Bacardí rum. Bacardí Grapefruit and Bacardí Raspberry will join their portfolio of flavored rums including Bacardí Tangerine, Bacardí Limón, Bacardí Pineapple, Bacardí Coconut, Bacardí Mango and Bacardí Dragon Berry.